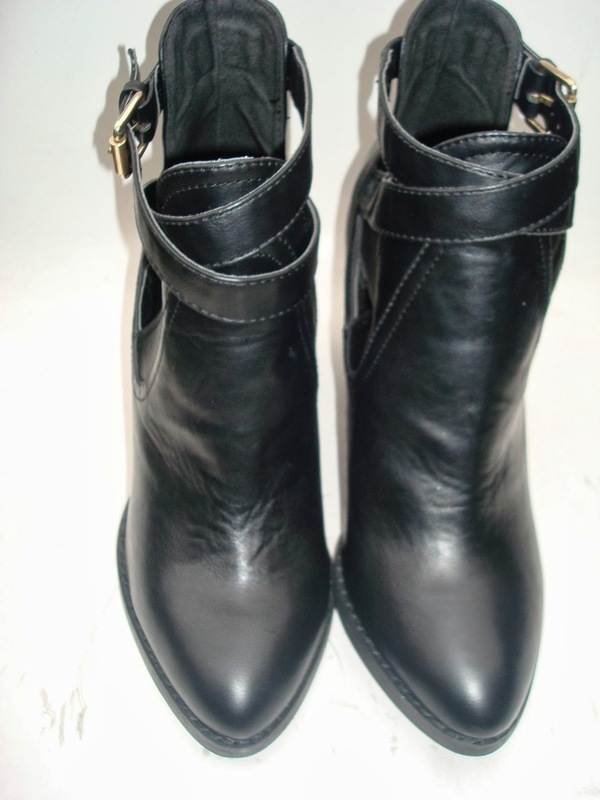 Autumn Must Have... the black leather ankle black boot. I love the gold hard ware on these boots and i think this lil gold band at the back of the boots makes them stand out and for all the right reasons. The cut out details is just amazing as well since i can show it off by wearing my cute white frilly socks with them Arghh there are too many outfit ideas going through my head. lets just agree that these boots are the boom! These pictures have been taken from H&M website to help show you guys! 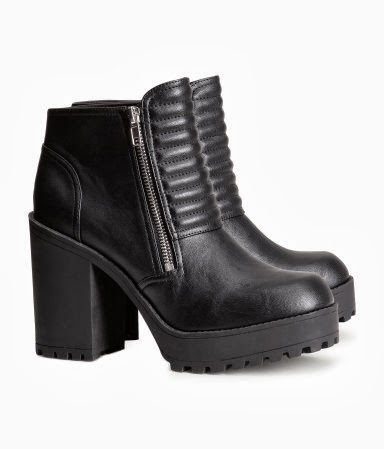 These are the H&M boots that i desperately want now. 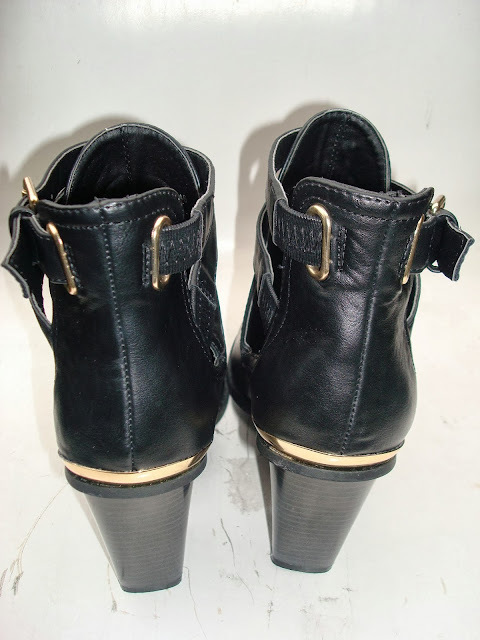 I mean you can never have too many black ankle boots in winter months, heck even in the summer months. 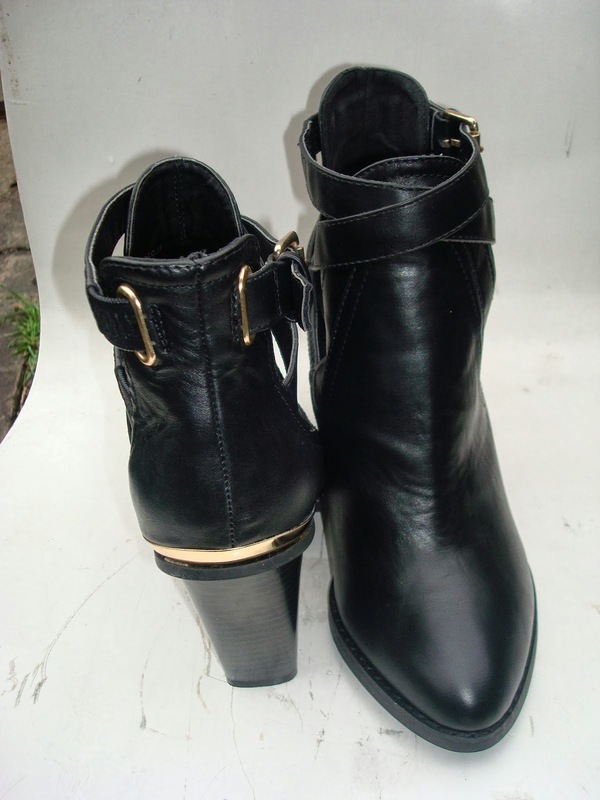 I am sure most of you would agree that leather ankle boots are a staple items for the winter months ahead and i recently looked over my shoe collection and realised i desperately needed a new pair. So i have been on a quest recently for a pair i could add to my shoe collection. 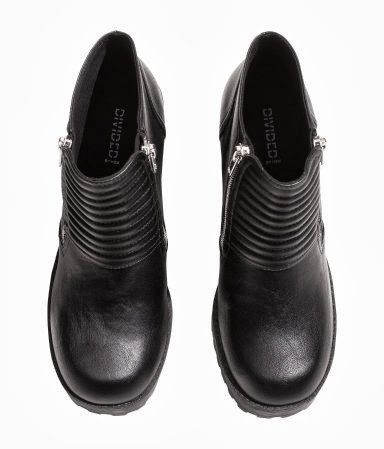 At first i though i might get a biker boot, but i also wanted a pair that would be versatile for me to wear from day to night. I had and still have my heart set on getting these H&M ones since last year and i have just checked and they have them in stock. I HAVE TO GET THEM! Yesterday on the way to yoga i nipped into town to have a look in TK Maxx for some sport bras and new yoga pants. TK Maxx is amazing since they have some serially awesome bargains in there. On the way i stopped by primark and to my avail i found these boots you see pictures above. I dont know what is going on with primark shoes because i tried on my normal size seven but they we too big and i was so desperate for them that i started trying on the size 6. I was convinced that i would have to squish m foot into the shoes but to my surprise they fit like a glove. I dont think they look like primark and i just wanted to share them all with you guys if your are like myself on the hunt for the perfect ankle boot. And for £20 pounds the price is right and so is the quality. I was pleasantly surprised. i love these boots! especially the cut out version! i love the ones you have on on your lastest ootd. i know i seriously want them. I am in neogiations with myself over whether to get them now and be broke for a while or wait until payday and risk them having sold out like last year. would love to.. followed... waiting for you to follow back. Love these boots, they look so cool. If you'd like you can check out my blog & maybe follow each other (gfc, bloglovin)?